Hamilton County Commissioners are ordering a performance and efficiency review of the Metropolitan Sewer District. 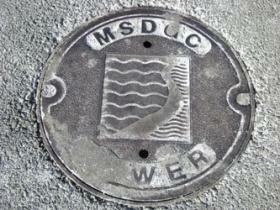 The utility is undertaking a multi-billion dollar, federally mandated system upgrade. Commissioner Chris Monzel proposed the review. "In order to keep our rates low, we must keep the costs as low as possible. To be clear, I have every expectation that this review will show what we all hope and believe - that things at the Metropolitan Sewer District are being managed and operated in a highly efficient and effective manner. But the public demands that we periodically take a formal look at this to ensure that is the case," he says. The county administrator estimates the comprehensive review will cost between $250,000 to $400,000 and take 6 to 9 months. Late last month, Commissioners approved a five percent rate increase. That goes into effect January 9.